I've been involved in the Society of Professional Journalists for more than 20 years, and I find the organization to be a great blend of professionals, students and educators working toward a noble goal: the improvement of journalism. In addition to having served on the national board for several years, I have worked at the Ted Scripps Leadership Institute, which is a training program for SPJ leaders, and I've served on SPJ's Legal Defense Fund Committee. 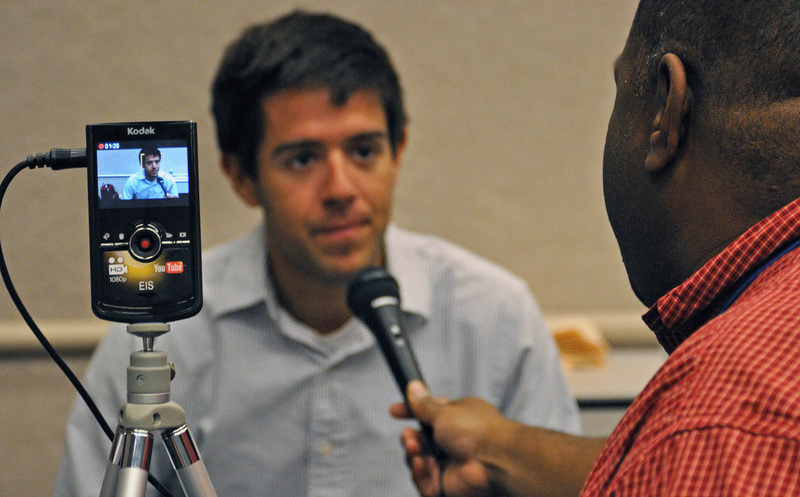 SPJ member Matthew Conde is interviewed by SPJ board member George Daniels during an exercise at the 2011 Ted Scripps Leadership Institute. This week-long high school journalism workshop has been operating under different names and with different sponsors each summer since 1982, but the students have always produced a newspaper by the workshop's end. And in recent years, they've produced a variety of multimedia work, such as this Tumblr page. I was writing director for the workshop from 2007 through 2012. Members of the 2012 Xposure Journalism Workshop (from left) Natalie Cranfill, Megan Cantwell, Katlan Bradley and Rachel Harris collaborate on a project in the newsroom. I served as a teacher at the annual Crazy Horse Journalism Workshop in 2011 and 2012. 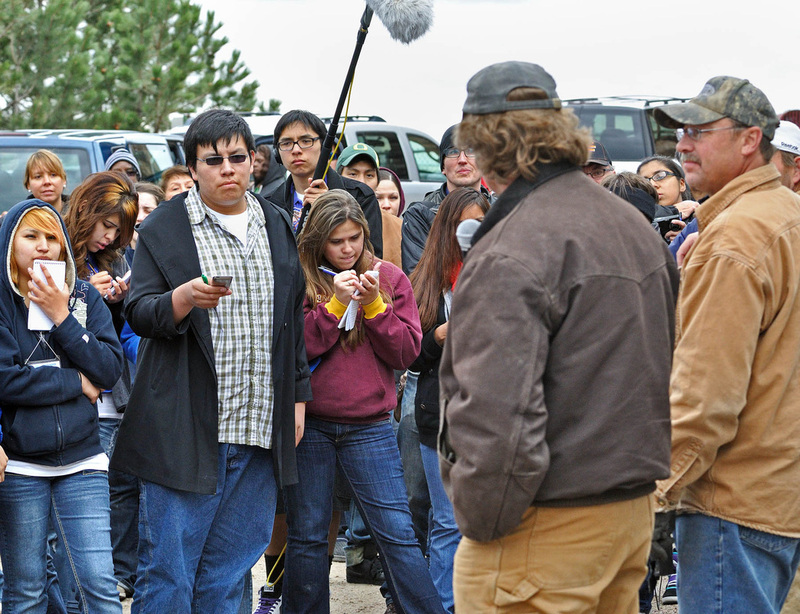 The program, created by the South Dakota Newspaper Association and funded primarily by the Freedom Forum, brings teachers and journalists to the Black Hills of South Dakota to teach Native American high school students about the news media professions. The students worked individually and in small groups with the teachers to produce a newspaper and several multimedia packages. Students in the 2012 Crazy Horse Journalism Workshop interview workers at the Crazy Horse Memorial near Custer, S.D. This popular, four-day summer camp focuses on teaching high school students skills they can take back to their student media outlets in the fall. Instructors include professional journalists and media teachers from high schools and colleges. Course topics include writing, photography, design, publication leadership, broadcast, and mobile media. The camp was housed at Lindenwood University in St. Charles, Mo., until 2015 when it moved to Maryville University. I served as an instructor 2013-2016. Check out the website here. 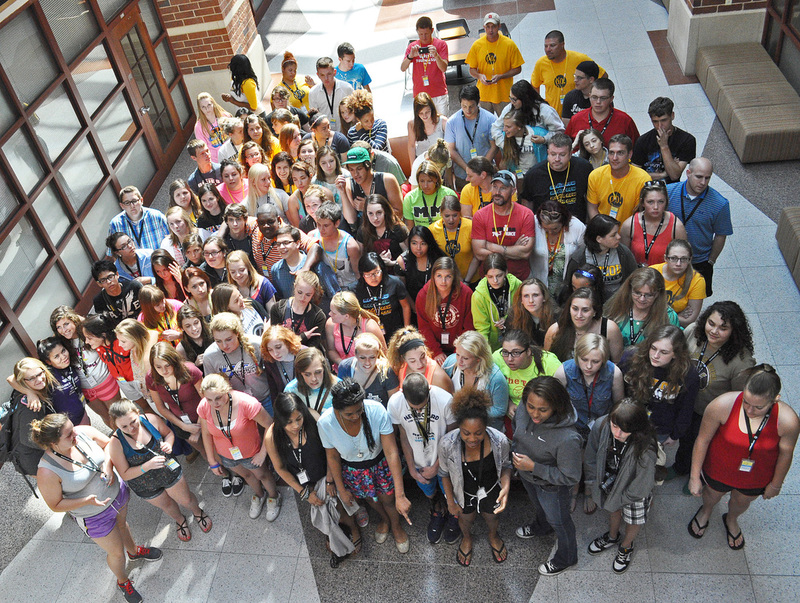 Students and instructors at the 2013 Media Now StL journalism camp pose for a group photo at the Spellmann Center on the Lindenwood University campus.